MOSCOW, February 3. /TASS/. 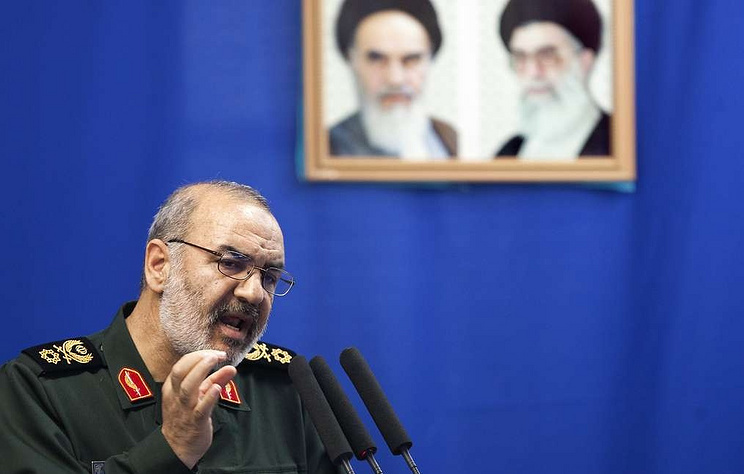 Iran will be forced to make a "strategic leap" if European or other countries try to limit its missile might, Brigadier General Hossein Salami, the second-in-command of the Islamic Revolutionary Guard Corps, has said. "If the Europeans and others want to pursue the missile disarmament of the Islamic Republic of Iran based on a conspiracy, we will have no option but to resort to a strategic leap," Salami told Press TV. On Saturday, Iran’s Defense Minister Amir Hatami announced that Tehran had successfully test-launched its new Hoveyzeh long-range cruise missile. According to Hatami, the missile would be fully ready for the use in the short term and would be able to fly at low altitude and its flight range reaches over 1,350 km. The missile is the most important achievement of Iran’s defense sector after the Soumar cruise missile, with the flight range of 700 km, which was unveiled in 2015.